1. Break the biscuits into pieces and transfer to a food processor. Process until fine crumbs form. Transfer to large bowl and add the cocoa powder and coconut. Stir to combine and make a well in the centre. 2. Add the condensed milk. Use hands to combine. 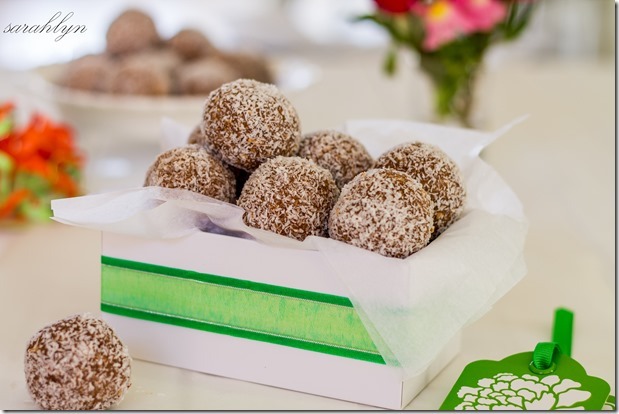 Roll tablespoonsful of the mixture into balls and roll in the extra coconut. (I usually weigh them so they are all the same size. Each ball weighs 28g). Place on the lined tray and place in the fridge for 1 hour or until firm.